The paintings and drawings by Chris Lundy (above), a longtime fixture on the North Shore of Oahu, are immediately reflective of the many years he spent in Hawaiian waters, surfing with great aplomb some of the heaviest waves in the world. 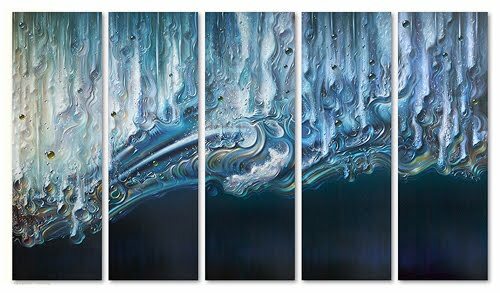 His large-scale (up to 10'x17') seascapes, meant to represent mere moments in time, are painstakingly and meticulously constructed over the course of many months. 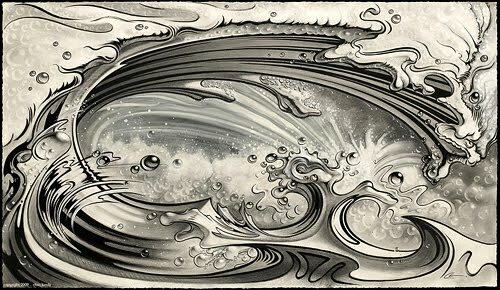 Lundy's compositions are precise, dynamic, and powerful, and in the tradition of Hokusai's The Great Wave at Kanagawa, they vividly imbue the sea with a life of its own. 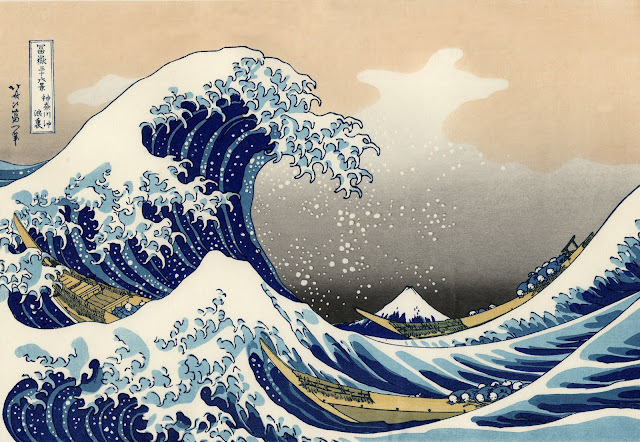 Katsushika Hokusai, The Great Wave at Kanagawa (from a Series of Thirty-Six Views of Mount Fuji), Edo Period (1615-1868), ca. 1831-33. Polychrome ink and color on paper.